Sectional sofas have often been thought of as giant pieces that are suitable only for expansive living rooms in luxury homes or the sprawling rec rooms made out of basements. They have typically been large, chunky pieces that come “as is,” with few options for changing up the style to suit your needs. Today’s modular sofas are small and chic. They can fit in the tiniest studio apartments, and they are adaptable to any design aesthetic. 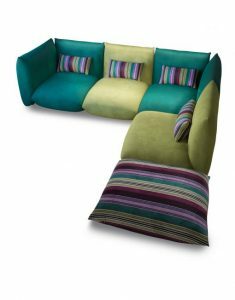 If you are getting ready to change up your interior design, you should consider using a modular couch in your living room or other gathering space. Sectional sofas used to come as one big piece – maybe two if you were lucky. Now, many modular sofas are sold in individual units. For every seat the couch has, you have a piece. Think of the couch as coming in individual blocks that can be placed next to each other in whatever configuration you want. You will still have pieces that have arm rests on them, so you will be somewhat limited in how you can use those pieces. However, you will have much greater flexibility in the design. You can put together multiple cubes to make a longer sofa. You can put together multiple corner pieces to make a different shape than the basic “L.” You can even increase the depth of the couch by putting multiple cubes next to each other. You’ll have a “lounging pit” rather than the basic sofa! Today’s modular sofas come in a range of colors, patterns, and texture choices. 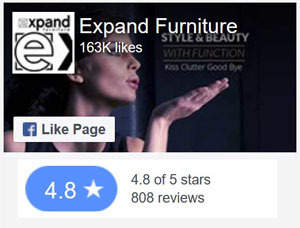 You can get everything from a white patent leather modular sofa bed to a corduroy plaid modular couch. You can get a sofa that matches any décor you are creating. A new feature of modular sofas is that each of the pieces can be ordered in different fabrics. You can choose different fabric types, or different colors. Or you can order them in the same color but different patterns, or the same pattern but different colors. For example, one piece might have yellow polka dots and the other pieces have pink, green, and blue. Or you might get a red sofa, but different pieces have hearts, stripes, flowers, or dots. The future of modular sofas is one of ultimate choice! 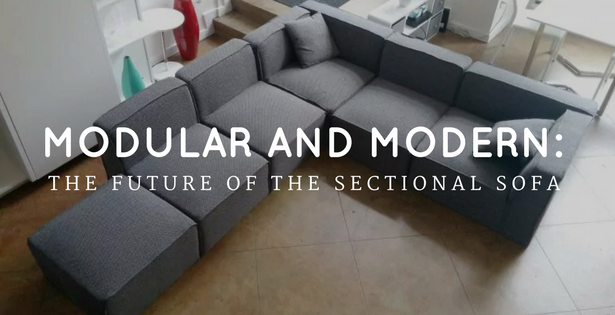 Modern sectionals have a streamlined design that gives them a versatile look. The minimalist build will look right at home in a contemporary aesthetic. However, because the design is so simple, it can also fit into other aesthetics, including vintage. You can influence the look of the couch with the other furniture pieces you select, as well as décor like accent pillows or rugs. Thanks to the versatile look of today’s modern sectional sofa, you can keep it for many years to come. You won’t have to worry about changing out the sofa just because you want to change out your interior design. Older modular sofas with simple designs were not always the most comfortable. In fact, sitting on them often felt like sitting on cardboard layered over floral foam. These couches were more for looking at than sitting on. Fortunately, the technology has advanced significantly, and it continues to do so. Many of today’s modular sofas are more comfortable than your bed. The modular sofa bed is designed to be just as comfortable whether you are sitting on it or sleeping on it. 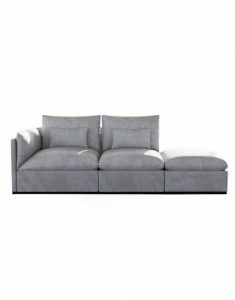 These couches and sofa beds have just the right amount of support, but they are also soft and inviting. You won’t ever want to get up! Small space living does not have to mean that you give up on style or comfort in your furniture. 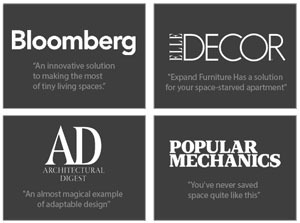 Even space saving furniture can be chic and comfortable. The future of modular sofas has plenty to offer, and you can find most of these features in cutting-edge designs that are available now. 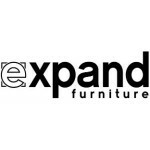 Expand Furniture has a nice selection of modular sofas with pieces to mix and match to suit your needs. 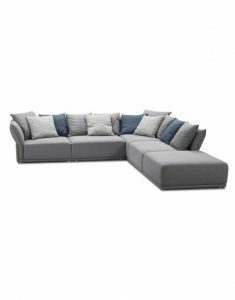 They come with a variety of fabric choices, with some sofas even giving you the option to mix and match fabrics on the same modular couch. 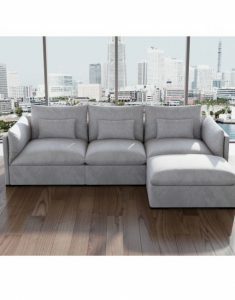 Browse our catalog to find the perfect modular sectional sofa for your home, or look for other small apartment furniture such as convertible dining tables and modular shelves. 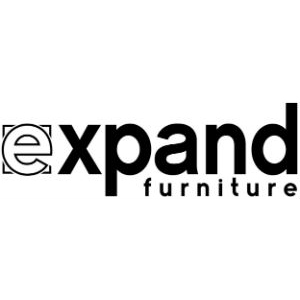 We offer the perfect stylish furniture for small space living.